Today I’m again departing from my own class syllabus in order to talk briefly about what the hell you’re supposed to do with your movie once it’s finished. This is for compressing video for the web. More full-featured software titles include Apple Compressor and Sorenson Squeeze. And by “out there,” I mean “somewhere you can send your movie so that you won’t be able to work on it anymore.” That’s right, it’s time to let go. I don’t care about the mistake in minute two. I don’t care. You’re done. Put down the keyboard. YOU’RE DONE. MiniDV tape – It’s easy to send your project back out to MiniDV tape at pristine full quality—it’s just like capturing video, only in reverse. You should make two tapes (these are called masters) for your personal archiving purposes. Read your editing software’s manual to find out how. 35mm film print – This one’s right out. Don’t even think about it. VHS tape – Of course, if you release on VHS you’ll have to also release on Betamax. You know, just to be fair. Oh, and obviously you’ll also want to put it out on Laserdisc. Have you thought of putting out a soundtrack? You could release it on 8-Track! But if you do that you’ll also have to release it on those old-timey hand-cranked wax cylinders. You know, jut to be fair. DVD – NOW we’re talking. DVDs are far from perfect and require some intensive compression, but for the time being they’re pretty much the be-all and end-all of home video distribution. And to boot, pretty much every film festival on the face of the planet accepts entries on DVD. We’ll be covering DVD authoring in a bit. The internet – The internet is a perfectly viable content distribution system, especially if you want to give away your content for free (and that’s no bad thing, especially if you’ve made something really cool and you want to get noticed). There’s a lot to be said about distribution over the internet and I don’t have the patience to say it all, so I’ll just be covering the basics. The internet is a great way to get your video out for public viewing. Perhaps the best way. But here’s the problem: You’ve been working with the video on your computer in pristine, uncompressed, full-resolution 720×480. This is great for editing, but lousy for distributing. You see, the internet is a series of tubes. And when you dump a big file like that into the tube, the tube gets clogged up. And when the tube gets clogged up your internet service provider gets angry at you because they have to get out their special plunger, and those things aren’t cheap. Luckily, there are ways around this. One way is to use YouTube, so named because their servers employ a special U-shaped tube that traps large videos and squeezes them down to a smaller size. The unfortunate side effect of uploading your video to YouTube is that your video is then posted on YouTube. If you don’t see a problem with this, then by all means, post away! The other way of avoiding a clogged tube is to compress your video before you put it up on the internet. The term would imply that you stick your video in a vice and squeeze it until it is reduced in size by an order of magnitude, doing all sorts of violence to your picture quality along the way. If you thought that, you’d be about right, except for the part about the vice. That’s just stupid, and you’d probably beak your computer. Instead of a vice, you use software. And instead of squeezing really hard, you use something called a codec, which is just a little piece of software that compresses video into a small file and then decompresses it when you want to play it. There are many different codecs to choose from. A short list of video codecs: H.261, MPEG-1, MPEG-2, H.263, MPEG-4 Part 2, MPEG-4 Part 10, H.264, DivX, Xvid, FFmpeg, 3ivx, VP6, Sorenson 3, Theora, WMV, RealVideo, Cinepak, X264, Huffyuv, Lagarith, Sorenson Spark, Apple Pixlet, MPEG IMX, Motion JPEG A, Motion JPEG B, JPEG 2000, DV/DVCPRO NTSC, DVCPRO PAL, HDV 1080i50, HDV1080i60, Uncompressed 10-Bit 4:2:2, Uncompressed 8-Bit 4:2:2, 3G, Planar RGB, OpenEXR and of course XDCAM HD 1080p25 (35 Mb/s VBR). Truly proof that the world is a horrible place. These are all good codecs, depending on how you want to use your video. The rub, though, is that the codec you use to encode your video must be installed on every computer that wants to watch that video. Which means you have to go with standards. For example, if you were insane and wanted to put up a piece of uncompressed high-definition video on the internet, you might be tempted to just upload it as HDV 1080i60, because that’s probably the native codec (the codec the video was originally recorded in and the codec you have been editing with). The problem is that the HDV codec is very specialized and hardly anybody has it installed on their computer. So you’d have to find a more common alternate codec to use. For most web applications, I recommend either MPEG-4 or H.264. H.264 makes smaller, better-looking files, but MPEG-4 is a bit more commonplace and puts a little less stress on the viewing computer’s system resources. There’s also WMV, which is short for “Windows Media Video,” but we’ll be ignoring that because WMV is basically Satan in a little blue box. This gets even more confusing when you realize that these codecs are contained in wrappers. QuickTime (.mov) and Audio Video Interleave (.avi) are the two most common. That’s as may be. We’ll be using QuickTime because it’s simple and everyone has it. I could make some tasteless joke about your dead grandmother here, but I won’t. Instead I’ll give you a lesson in the history of analog video, because that’s SO much less painful. The big thing that editors talked about during the age of analog video when the beer ran out and they couldn’t think of anything interesting to say was generational loss. You see, even back when cameras used vacuum tubes and video tape was an inch wide and only recorded in smeary black-and-white, people wanted the best quality they could get, and this was accomplished by always working from an original master tape and never making copies of copies. In the olden days, editors would sometimes go as far as physically cutting the video tape like you would a film negative. Crazy, huh? If you have free access to a Xerox machine, try this experiment. Get a photograph and make a copy of it. Now make a copy of that copy. And make a copy of that copy. Do that ten or twenty times. Actually, keep doing it until you start getting suspicious looks and have to flee the scene. Now take the last copy you made, and compare it to the first copy you made. Big difference, right? This is caused by generational loss. In other words, every time you make a copy of something, you lose some quality. This problem has mostly gone away now that we’re in the digital age and can make exact, bit-for-bit (lossless) copies of video files. But it’s still relevant when we talk about compressing video. You see, video compression works by examining your video and throwing out information that the codec doesn’t think is too important. This is, by definition, a lossy (not lousyâ€”lossy. The opposite of lossless) process. It’s okay to do once because it’s necessary to get the video down to a reasonable size. It’s maybe okay to do twice, as long as you’re moving from higher quality to lower quality. But it’s not okay to do three times because you won’t be able to see a damn thing. So when you compress or re-compress your video, make sure to always work from the original timeline or uncompressed video file, or your audience will live to regret it. WASN’T THAT FUN? NOW LET’S TRY AN EXAMPLE! NOTE: For this example, I will be using QuickTime Pro. It’s only $30 bucks and a good investment if you don’t already have some way of compressing video for the web. 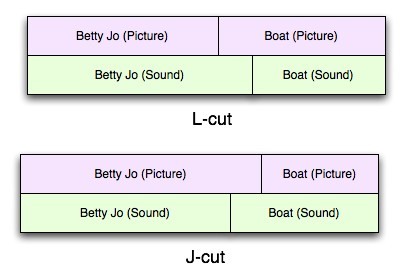 Let’s say I’ve finished working on the example I was using last week, of Betty Jo talking about motor torpedo boats. Let’s say that I want to put this up on my web site, which happens to be all about motor torpedo boats. I would first need to compress this video. Experiment from there to see what you come up with. Try to keep file sizes under 20 megabytes, depending on how long the video is. Remember that over a dial-up connection, it takes about 10 minutes to download a single megabyte. Consider how long you want to make your audience wait, and weight that against how good you want the video to look. Of course, to get this video up for the public to see, you need to have server space. The best option is to get your own domain name and server space, which all told can cost anywhere from $30 to $200 dollars per year, depending on the features you need. I won’t cover all the ins and outs here because I’m bored of this topic. Get in touch with me if you need further assistance. I love simple, extensible technologies that work exactly the way they’re supposed to. That’s why I’ve always had a soft spot for DVDs. Sure, they’ve got quality issues and they’re not as reliable as tapes, but gosh dang it, they just WORK. Of course, there’s things you’ve got to do to MAKE them just work. The first thing is that you have to get the audio into either uncompressed AIFF or compressed Dolby Digital format, and you’ve got to compress your video as MPEG-2. The good news is that every DVD authoring software title on the face of the planet has a built-in encoder for precisely that purpose, and it usually happens automatically when you bring in the video you want to use. The other thing you have to do is build a menu system. Well, that’s not exactly true. You CAN just have a disc that automatically plays your video once and then stops. I actually use that a lot and it’s a great way to show around rough cuts of your work. But if you want a menu, or you want to include multiple videos on a single disc, they’re pretty easy to create, especially with a non-expert program like iDVD. Just experiment. You’ll figure it out. When you’re done, you have to build the disc. While this is happening, you may get a message that your computer is “muxing” your tracks. This is perfectly normal. I have no idea what it means, but for some reason it must be done. My theory is that it’s just an excuse to use the word muxing. Then, once the disc is built, you can burn it. Put a blank DVD-R (never use DVD+R media for anything other than data storage) disc into your DVD burner (oh yesâ€”you need a DVD burner), and let it do its magic. If it says the burn was successful, go and test it in a few different DVD players. There you go. Now you know how. We’ll be covering more advanced distribution later in the semester when you have something worth distributing. For the time being, you’re done with the assignment. Write a pitch for a more complex short, clocking in around five to ten minutes. What is a pitch? It’s a production concept and synopsis all rolled into one, and all in no more than a couple sentences. It should explain why the movie is worth making, and if possible, you should explain why you yourself are not just a waste of oxygen. It is important that you are able to present ideas to peers because otherwise nobody will listen to you and they won’t be able to offer you helpful advice. That’s why I’m asking for a little participation here. Get a pitch ready and post it in the comments here by Friday. We’ll get a discussion going and see if we can generate some useful feedback. Then next week we’ll talk about lighting, and the logistics of working on a more complex project. Over the past year or so I’ve been reviewing movies, which is fine, but it’s much more fun when there’s a dialog. To that end: I’ll be talking about movies with faithful reader/Hades, Paul. Let us know what you think. PAUL: I finally saw Garden State and Children of Men. Garden State was amazing—there are so many things in there that were perfectly done. Love stories normally bother the hell out of me, but this was unique (and only partially a love story). This worked to convince me that Natalie Portman really is a good actor. V for Vendetta did a good job of this too, but this really proved it to me. It was also interesting to see Ian Holm in a non-hobbit and non-face-covered-with-Alien role. It had extra personal meaning because I have been on anti-depressants to the point where I couldn’t feel anything before. ANDREW: I wouldn’t say Garden State was amazing, but I’m pretty sure every director has a movie like this in them (basically: “let me show you all the amazing people and places I know”), and it IS a really exceptional example of that. I’d also say that Zach Braff may be the first in a new wave of American auteurs. I’m anxious to see the next movie he directs (NO WAY was Garden State his last). I’m not all that crazy about Natalie Portman, but that WAS a good role for her. And Ian Holm is just downright my favorite actor, an opinion I’ve had ever since I saw him do King Lear for PBS. There is a deleted scene on the Garden State DVD that is not to be missed, taking place in his parents’ bathroom, in which Large discusses with his father the possibility that his mother committed suicide. I completely understand and agree with the reasons why the scene isn’t in the final film and I would also have cut it, but the bitter irony is that, aided especially by Ian Holm’s acting, it’s the best scene of the movie. And it isn’t even in the movie! PAUL: I have yet to check out the deleted scene on Garden State, but I also have yet to return it. I haven’t really seen Ian Holm in anything but the Lord of the Rings (he is EXACTLY the Bilbo I envisioned all my life) and the nameless victim in Aliens. ANDREW’S SUMMARY: It took me a long time to decide to watch Garden State. I was afraid it would be whiny. It wasn’t. To be balanced, I think the movie is too slow and towards the beginning it exudes a sense of ennui so powerful that it could knock out even a highly motivated horse. But that doesn’t mean that it was a whiny “oh woe is me” ode to personal inadequacy. To top it off I was impressed by the acting, the production design and the script. This is a positive movie, but not syrupy. There aren’t enough movies like this in the world. PAUL’S SUMMARY: While “selected” by several festivals, Garden State has won few awards. It has, however, gotten a decent fan following and critical acclaim. I have heard it dismissed as pretentious, but I didn’t find that to be the case at all. I didn’t feel that it was out to make any big claim in life or cinema, or truly move us. Its biggest moral seemed to be “try and enjoy life.” In some senses it is a romance story, which I am almost never a fan of, but if this were to be classified as a romance it is a very unique one. ANDREW: I think the desensitization to death is a pivotal element of the film, and is most likely something that would happen to you in that situation. This creates a sort of Balkan/Holocaust feel that is used to great effect to get rid of the midwife. Three’s a crowd, right? So we all knew she had to go, but the great thing is that you never really know what happens to her. You assume she’s dead, but you never know for sure. You just never see her again. I’d also like to point out that, while desensitizing death on a mass and impersonal scale (the bombings, mortar blasts, general mayhem, etc. ), the movie does a great job of punctuating that desensitization with a few disturbingly prominent, sensitized instances of violence (the woman in the beginning holding her own severed arm, for instance, or the cop being bludgeoned by the car battery). PAUL: The concepts were great and a lot of the cinematography was great as well, but I got a little nauseous from all the hand held shots. The acting was great, though some of the roles didn’t enable much variation. Definitely a movie worth seeing once, I would say. ANDREW: I usually despise unnecessary handheld camera work (it’s one of the few things that put me off The Prestige), but this is one movie where it not only works, but is necessary. Not only does it lend a much-needed documentary feel to the film, but it’s good that it makes you nauseous. You’re SUPPOSED to be nauseous! There are a few things about Children of Men that really won me over: First, there’s a little sound design trick that runs throughout the whole movie and just totally captivated me. Second, Theo’s moment of grief over losing his wife. Third, “Seriously, pull my finger.” The moment of silence on the battlefield while the baby is walked out gave me goose-bumps, and the movie ended at exactly the right time. PAUL: I agree with how good the silent battlefield was, I got… I’m not sure goosebumps, but some very physical reaction to it. I don’t really know how to describe it. I loved Theo’s breakdown, it was brief, but it was the greatest range the role was given and it was executed very well. Here is something to think about: Why all the 70s music? Not to mention other minor throw-backs to the era. My theory is that this was a criticism of modern revolution and the modern world. The 60s and 70s were based around a love and peace-themed revolution. In our present day and age, such a things seems all but impossible. When faced with fascism, peace doesn’t tend to be a good method of change. Instead, today’s revolutions are violent and all-too-often obsolete. As such, the revolution here is violent and seemingly unsuccessful. This world seems to be one where love and peace would be almost hopeless. I think the music chose is meant to draw attention to the differences in the idea of a revolution. Also notice that most of the retro music occurs in reference to Theo’s father, which certainly makes sense, and in that context I think the lyrics of Ruby Tuesday could also be a lament, as you pointed out, over the loss of the peaceful revolutions of the 1960’s. PAUL’S SUMMARY: I liked Children of Men decently. It was a good reworking of classic Messianic, and specifically Christian, myths. It is well pared with some of the other more modern visions of new world order, interestingly enough another one that places the U.K. on top. The real violence is the thing I feel they did best. I agree with Andrew’s point that desensitizing us to it may be the goal. The world is horribly desensitized, the best example being the sudden explosion of the cafe at the beginning. ANDREW’S SUMMARY: Children of Men is what it is what it is. Documentary? War drama? Messianic action flick of all-out armageddon destruction? The movie does a good job at being something unexpected, and that is the goal of all cinema. Performance, cinematography, effects, editing, above all, direction—all top notch. A filmic success if I’ve ever seen one.